If you are making a journey that you haven’t made before you may be a little unsure of the route to take. This may make you late for a meeting, late for a train or even late for a plane to take you on your latest holiday. Using any type of navigation system will give you the confidence to travel anywhere and allow you to ‘enjoy the drive’. If you’re a business, it will save you time and money on motoring expenses because your drivers aren’t getting lost and driving around and around. If you’re going on holiday abroad a fixed navigation system is a fantastic tool for taking with you, as most systems have Europe coverage, giving you that extra confidence to explore. They are all voice guided so there’s no need to take your eyes off the road. They take the hard work out of driving and it lets you concentrate on the road ahead making your journey safer and relaxed. We have a range of navigation systems to suit many budgets. The selection that we have on display in our showroom are the ones that we have tested personally, that way we can offer the best advice and be sure that you get the right product for you. Some vehicles have a stereo system that can’t easily be replaced, if at all. With this in mind, some manufacturers have options of a separate screen and navigation brain, totally separate to the stereo system in the vehicle. This type of system can either be controlled via a hand held remote control or a touch screen monitor. There are several options for screens that can be either dash mounted, or better still we can use a monitor that is built into a rear view mirror so it clips over your existing mirror and gives you a screen. This option leaves the dashboard free of cables and brackets so there is no visible sign that there is anything in the vehicle. Integrated systems are designed to be installed into the vehicle by a professional to the highest of standards and to look and feel part of the vehicle. Whether you have the facility of a standard din sized hole or a double din aperture we can offer solutions for both instances. With either option it replaces your existing car stereo and gives you the extra benefit of features such as Bluetooth Hands Free, USB and iPod connections, DVD with the additional option of adding Digital TV and a reverse camera all through this one source. This type of system is ideal for the everyday user with various different packages available. We can tailor a unique package to suit you if you want to incorporate DVD Movies/TV into your package. 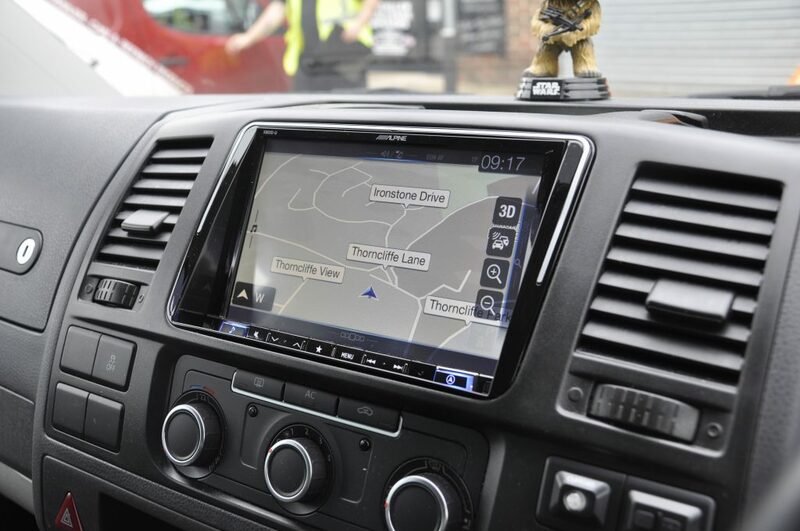 For the business user these navigation systems play an important role and are an invaluable tool as they can manage time more effectively, avoid possible delays on the road, minimise wasted time through wrong turns and enable you to turn jobs around faster giving consistent high levels of quality and service. This option is more suited to an owner of a vehicle who is likely to keep the vehicle for a period of time as the fitting is integral to the vehicle and both fitting and removal may need to be undertaken by a specialist. If you have any queries about Navigation in your vehicle, please click the button below to contact us.